I'll be honest & admit, I'm not a neat freak. If someone else can sweep the floor, I'd love it. But sometimes you just have to take initiative & do it yourself. I had a really bad experience the last time I tried cleaning the shower. Whatever product I was using caused my eyes to burn. Burn! My eyes were watering like crazy. I couldn't see. I even kept the area well-ventilated. Obviously, it was a bad experience. The harsh chemicals won the battle against my body. 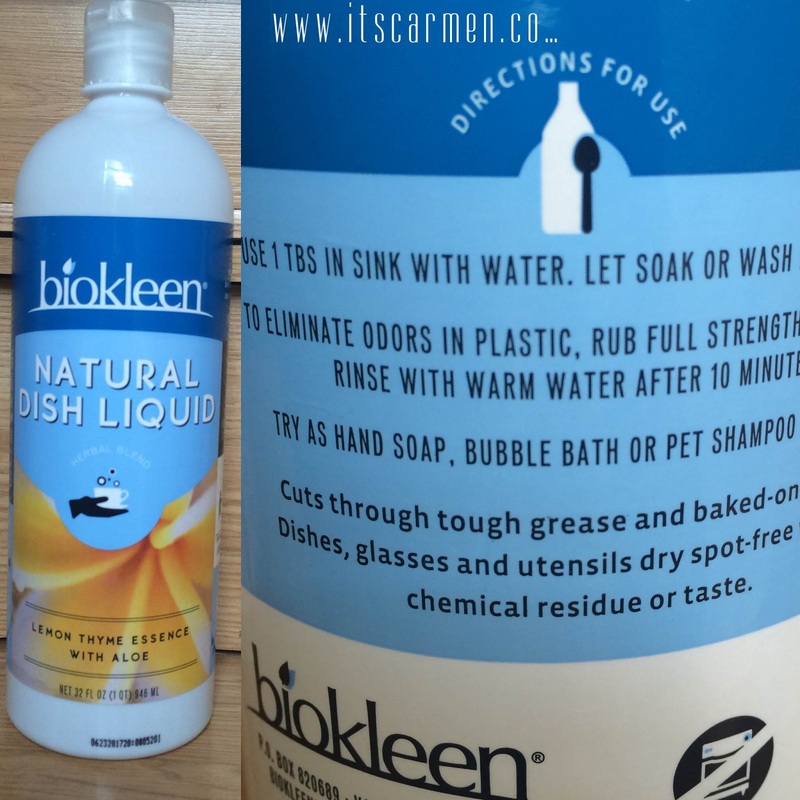 That said, I was pretty psyched to test out these Biokleen products. 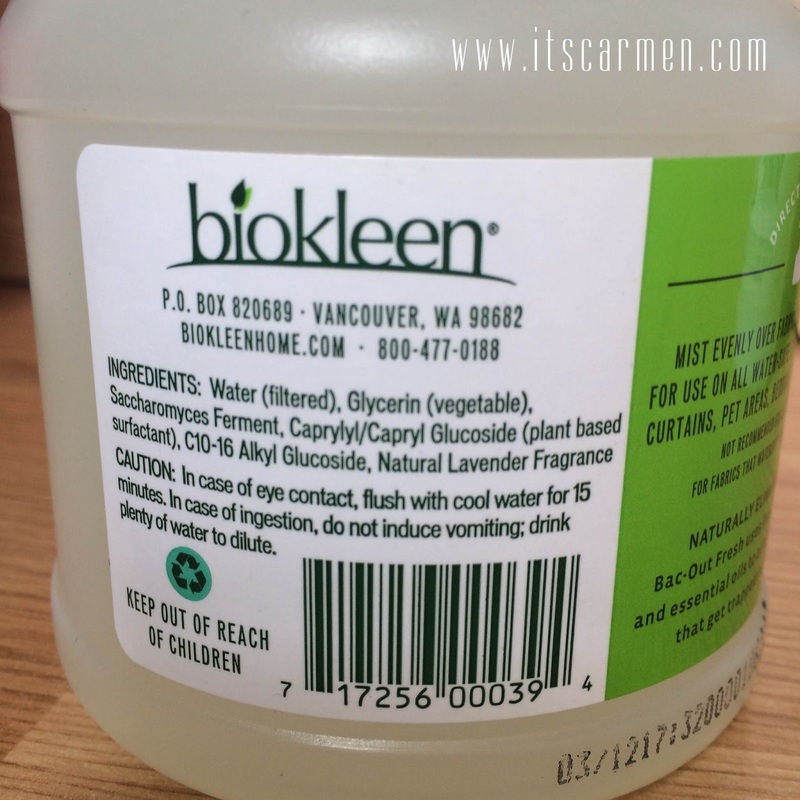 "All Biokleen products are free of phosphates, chlorine, ammonia, petroleum solvents, alcohol, butyl, glycol ether, brighteners, artificial colors, artificial fragrance. 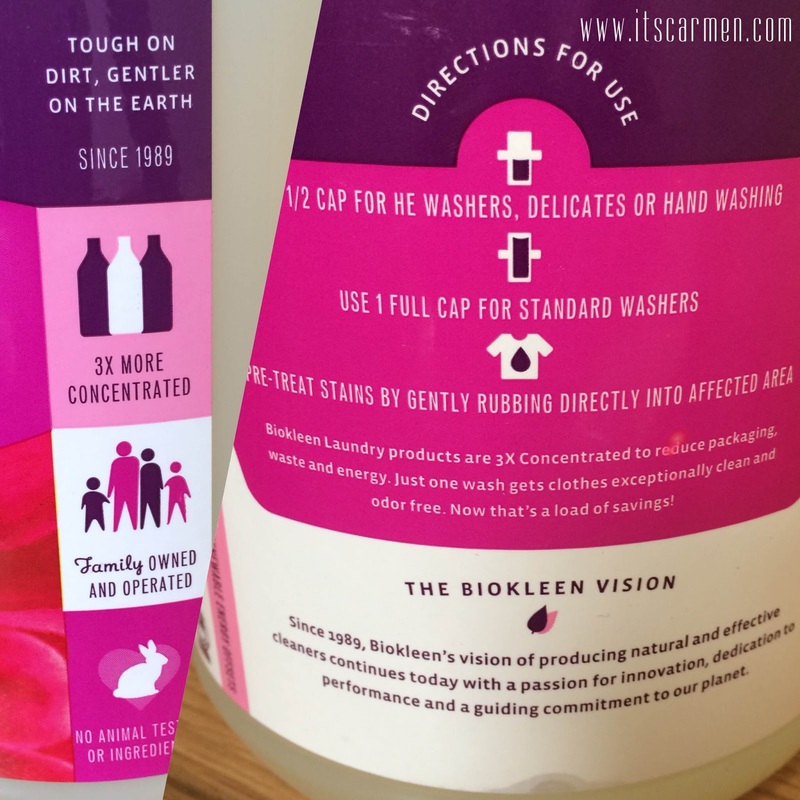 We believe that a house free of toxins is a home full of love," according to their site. Let's see how they fared! I received 5 products to utilize. 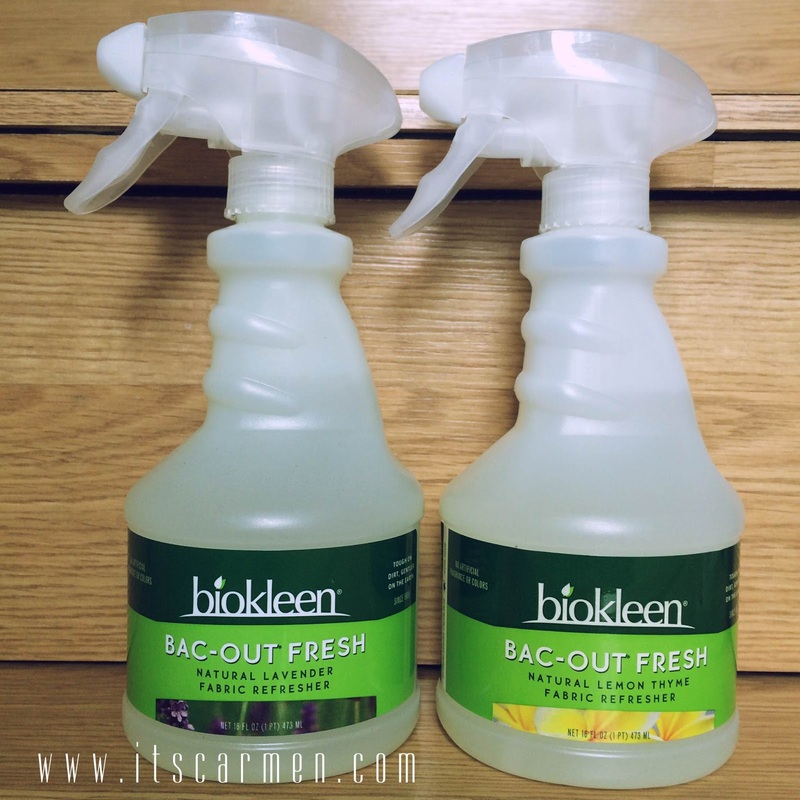 I got: Bac-Out Fresh Lemon Thyme Natural Fabric Refresher, Bac-Out Fresh Lavender Natural Fabric Refresher, Citrus Essence Laundry Liquid, Lemon Thyme Natural Dish Liquid, as well as the Spray & Wipe All Purpose Cleaner. I was really looking forward to the laundry liquid. It smells amazing. The packaging claims it will last 128 loads, but I'm not entirely sure that's correct. As you can see, I used up some of this product & that was only 3 loads. I did add more than the recommended cap full. My only problem with this product is that the clothes, although they were clean, did not have any scent to after washing. 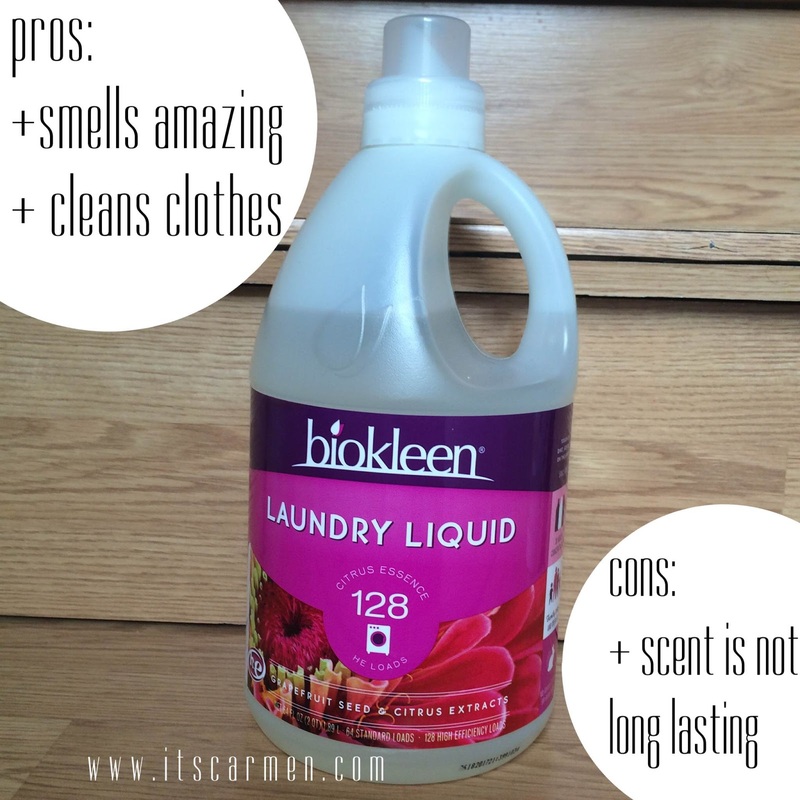 Most laundry detergents do leave a fresh scent after drying but this could be due to the chemicals used. Other than that, it worked well. Everything was clean. Okay, so this dish liquid rocks. I'm always amazed at the scent. This is another win for lemon thyme. It seriously smells delightful & makes washing the dishes much more pleasant. This dish liquid is for hand washing only; it's not meant for dishwashers. The cool thing about this is that it's not just for washing dishes. You can use it as a hand soap, add a couple drops for a fun bubble bath, or use it as a pet shampoo. 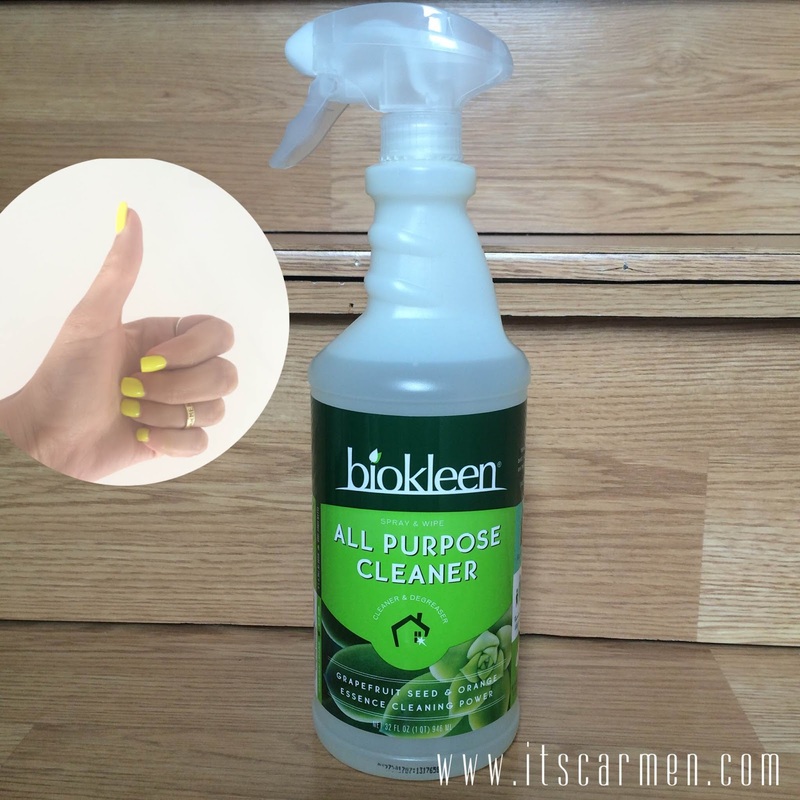 The All Purpose Cleaner is another fantastic product from Biokleen. Since all the ingredients are natural you don't have to question what you're washing your kitchen counters with. It makes everything clean & tidy without causing my eyes burn (as I mentioned earlier haha). I've used this in the kitchen, bathroom, living room. I've also used it on windows as well as glass tables. Works like a charm. These products look great! Good luck to you all! 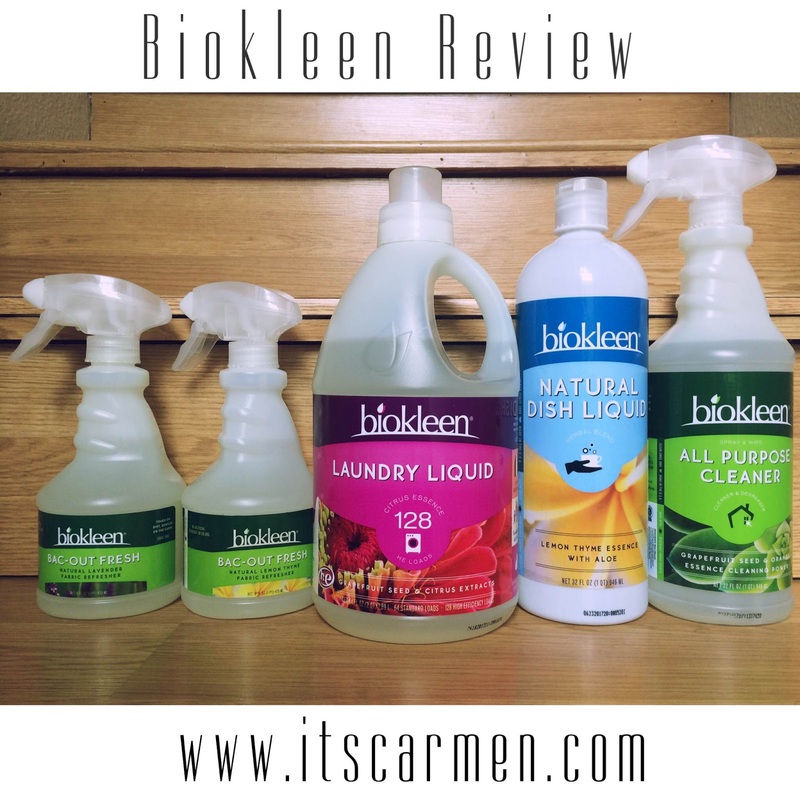 I use biokleen stain/odor remover on my daughter's clothes when she has diaper explosions. I would LOVE to try more products!!! Wow! These seems like fantastic products! Are the available in store or only online? I've been looking around for more natural cleansers. All those harsh chemicals worry me, especially when I have a little kitty cat that loves to play with his food on the kitchen floor. 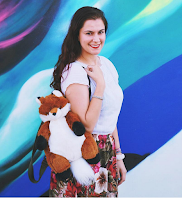 Great blog you have, I'm a new follower through Bloglovin. Thanks for the comment on my blog by the way. I hope you continue to stop back by!